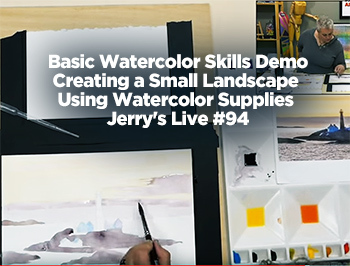 Jerry’s LIVE Episode #94 – Basic Watercolor Skills Demo- Creating a Small Landscape Using Watercolor Supplies Featuring: Turner Professional Watercolors Take just the basic supplies needed to paint in watercolor: paint, paper, brushes, and a palette… and watch this basic watercolor LIVE demo of a small landscape! This event will feature pigment-rich, Professional Turner…..
Congrats to Our Fabulous Watercolor Artists! Last year we had a great turn out in our first Fabriano Watercolor Paper Art Contest and our second annual contest has been a huge hit! 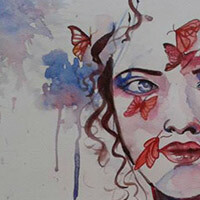 We got a ton of great entries in this year’s Fabriano Watercolor Paper Art Contest which can be seen here. We saw a….. 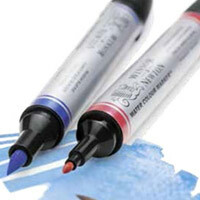 Ultimate Performance with Added Precision Want more control or precision out of your watercolors? 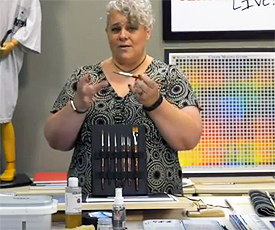 Winsor & Newton have two new watercolor innovations in the New Water Colour Markers and Professional Water Colour Sticks. Now, Winsor & Newton bring you a new way to use their stunning watercolor with added precision and definition. Perfect for the…..